You know that Happy Husband is a Land Surveyor and works outside (in the field as it's known). He carries a LOT of work-related items and also several items for survival needs. Yes, it can be that dangerous deep in the woods, in the swamp or marshes, even on back roads. What he carries is important. What he carries those items in is even more important. It has to be lightweight, easy to carry, portable, versatile, and functional. It must be strong, able to carry a lot of items, and durable enough to last a long time. 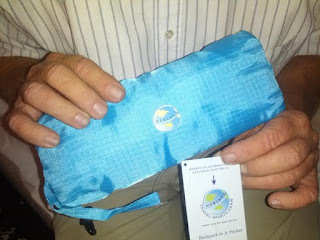 The Backpack in a Pocket from Merseylea International meets the criteria. It's now a very valued addition to Mike's work kit. When it first came, I admit I was skeptical. The package was small. I thought, "No way this will hold what Mike needs in the field." Wrong. It holds so much! He has a lantern, batteries, paracord, knife, fire-starter, water bottles, and more tucked inside. See how large it becomes when unfurled? It has two long reflective strips so it can be seen in the dark when lights hits it. That can be a life saver. 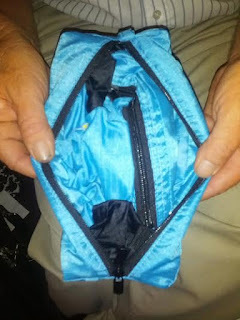 There is a zippered pocket outside which holds several items. The above shows Mike holding the backpack open. It has a deep well for storage. 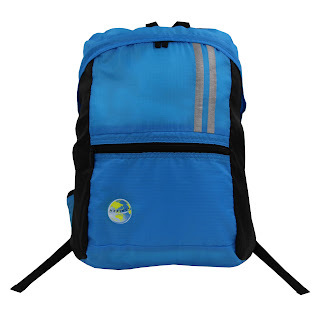 Shoulder straps on the back make it easy to carry on your back. 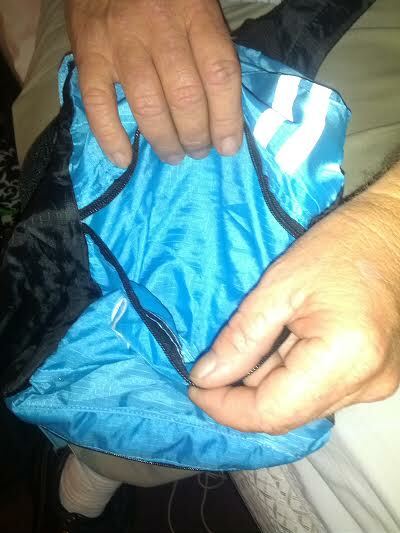 All seams are reinforced at the join. Whether it's used as a backpack, a tote, or a work bag, it's infinitely useful. DON'T SUFFER COSTLY LUGGAGE OVERLOAD. Airlines now are stricter with weight limits of your luggage. If in doubt take out your backpack in a pocket and fill any overload in there and use as a carry on. BRILLIANT FOR ANY DAY TRIP ACTIVITY when small gear has to be carried. Breathable padded shoulder straps. Wear or carry. Easy at airport. Keep in suitcase for tourist purchase overload. 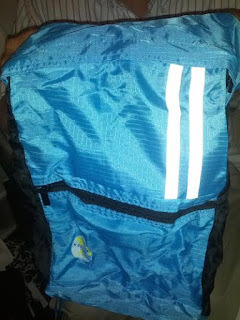 You may purchase the Backpack in a Pocket at amazon.com. 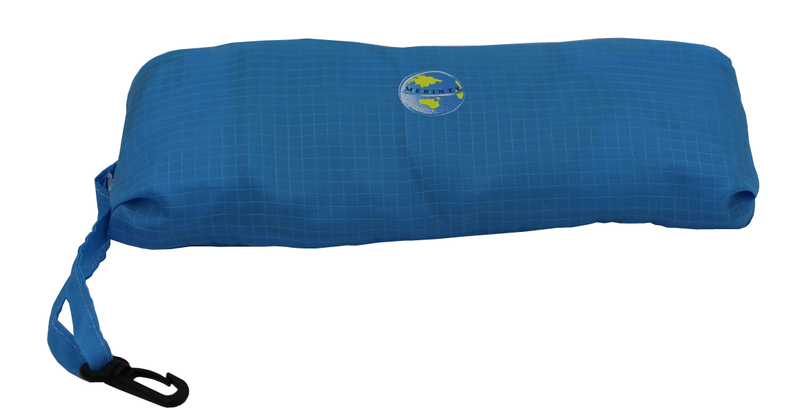 It's available in Blue and Black and in Grey and Pink. 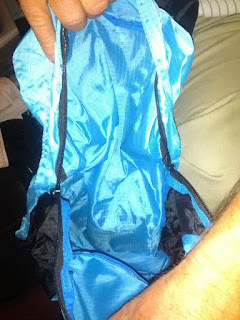 I received the Backpack in a Pocket for the purpose of review. I received no monetary compensation. The opinions expressed herein are my own and based on my own use of and experience with the item.